Interdisciplinary work across the humanities and social sciences is moving beyond analysis of any one nation in isolation and instead placing urgent questions in the larger matrix of the Americas as a hemisphere. But little attention has been given to the overarching methodological, institutional, and pedagogical issues resulting from the growth of inter-American, or American hemispheric studies. Teaching and Studying the Americas is designed to give close consideration to the range of fundamental challenges and questions that a hemispheric studies perspective raises. It is unique in its primary concern with questions of institutional practice, pedagogic transformation, and research perspectives. Pinn, Anthony B. Caroline F. Levander, Michael O. Emerson (eds.) 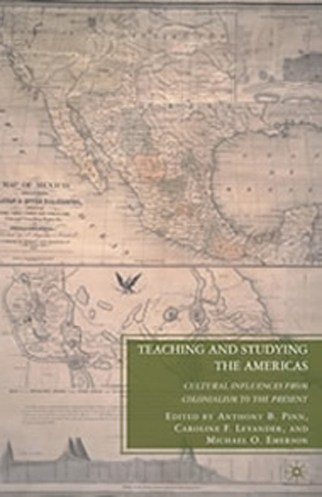 Teaching and Studying the Americas: Cultural Influences from. 2010 Colonialism to the Present. Palgrave, 2010.